Are you the kind of RVer who loves to cook up delicious feasts at the campground? 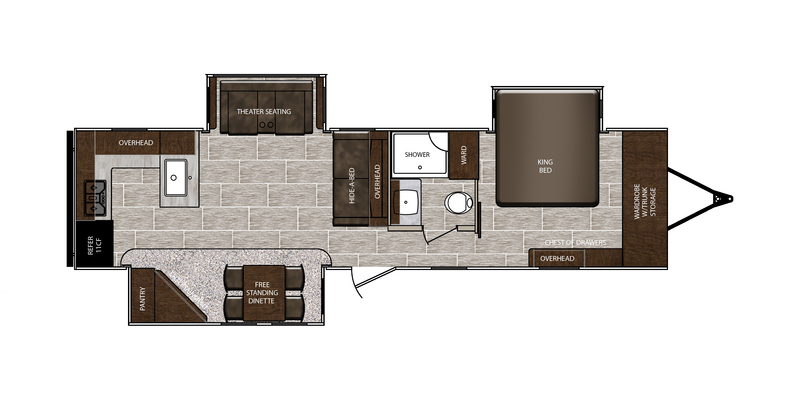 Floorplans that feature rear kitchens give home chefs the space they need to create mouthwatering meals. This layout allows for generous countertop and cabinet space, and it keeps the living area open for easy conversation. 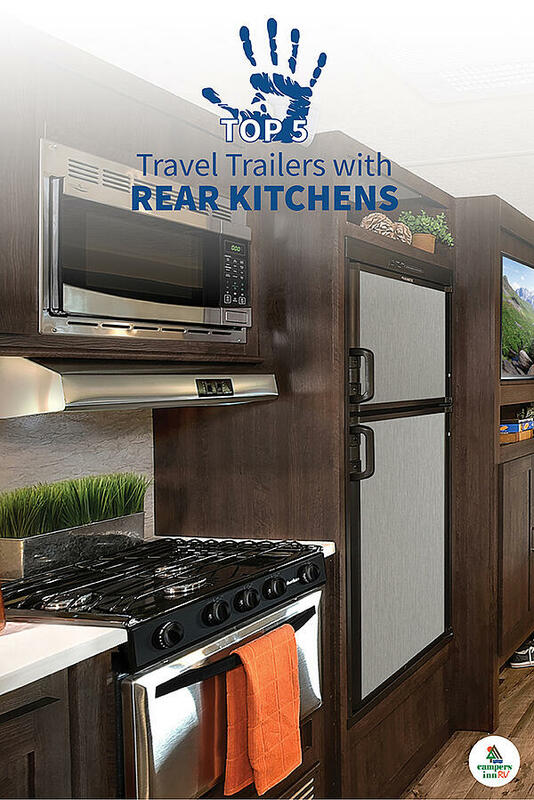 If you are in the market for a rear kitchen travel trailer, we are highlighting five incredible options for all budgets. 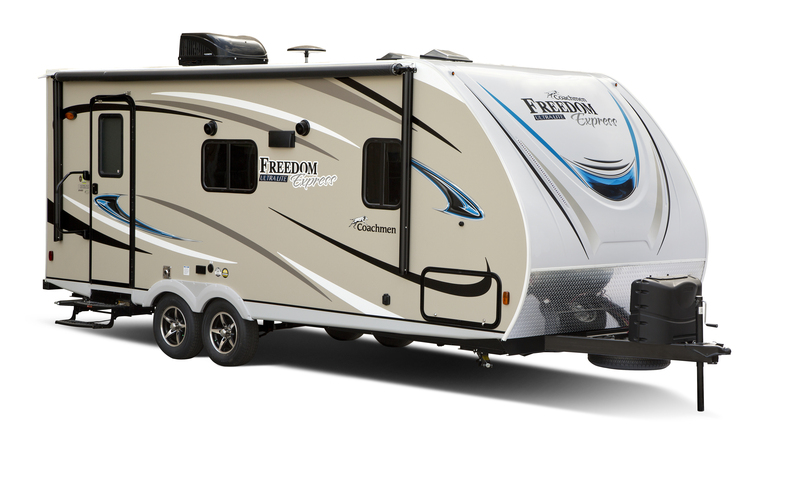 Coachmen Freedom Express travel trailers are a popular and affordable choice for families who love the outdoors. They are durable and lightweight, and they are designed to be towed by half-ton pickup trucks and SUVs. 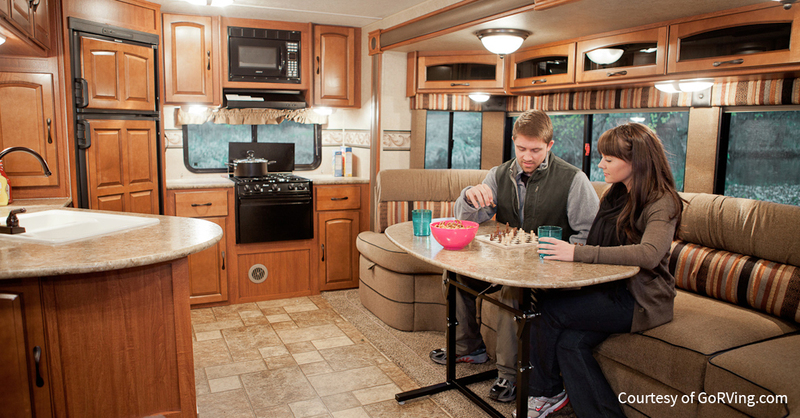 The 246RKS model features a rear kitchen and a living room slide-out with a sofa. It also features a full-sized bathroom and a queen-size master bed for relaxing after fun in the sun. The rear kitchen has a residential-style fridge, along with a three-burner stove and plenty of cabinet space. The Transcend is Grand Design’s entry-level travel trailer. The Transcend features Grand Design’s highly-regarded quality and innovation at an introductory price point. They are fully insulated and are built with a thick aluminum exterior. The 28MKS model has a rear kitchen with ample counter space along the side wall. Across from the kitchen, it boasts a slide-out with a dinette and two theatre seats. The living area also includes a fold-out couch for extra seating and sleeping space. The front of the floorplan offers a full bath with a walk-in shower and a master bedroom with a queen bed. 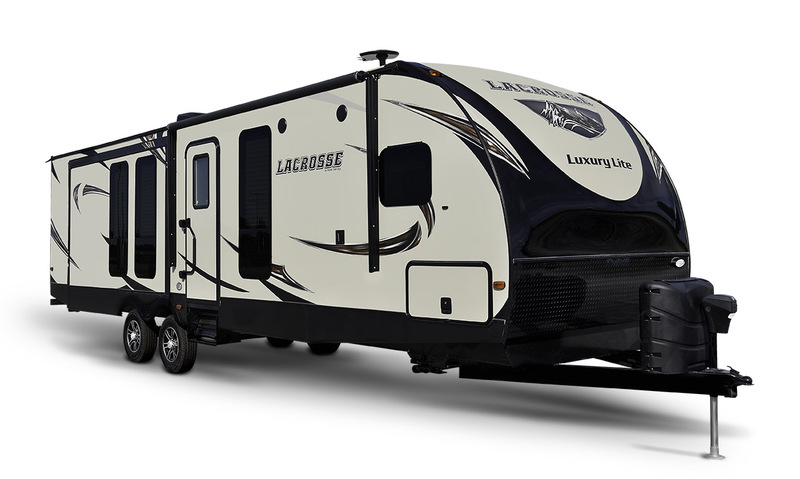 The Prime Time LaCrosse is a luxury travel trailer designed for those who love to camp in style. The lush interior features solid surface countertops, gorgeous wood appointments and a 50” LED TV in the living room. The 3311RK model offers a three-sided rear kitchen with plentiful counter space, a three-burner stove and a residential-size fridge. The spacious living area includes two slide-outs with theatre seating and a free-standing dinette. The master bedroom features a king bed slide-out and a large wardrobe to fill with outfits for every occasion. The Cruiser Embrace is one of the hottest travel trailers available today. With a modern interior design accented by dark wood finishing, the Embrace is a perfect package of class, comfort and affordability. It is half-ton towable, and its 30,000 BTU furnace with forced heat to its water tanks make it great for extended season camping. The EL240 features a rear kitchen with plenty of overhead cabinet space, and its living area opens up with a sofa slide-out. The master bedroom offers a king size bed, as well as a separate entrance for increased privacy. 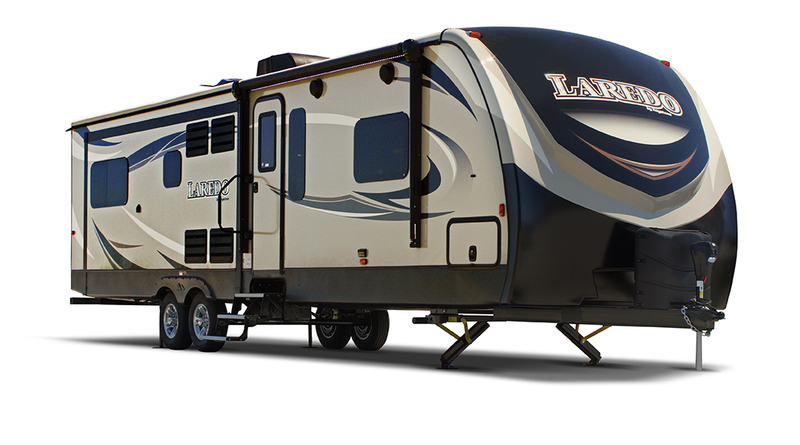 The Keystone Laredo is designed to give RVers everything they need for unforgettable camping adventures. 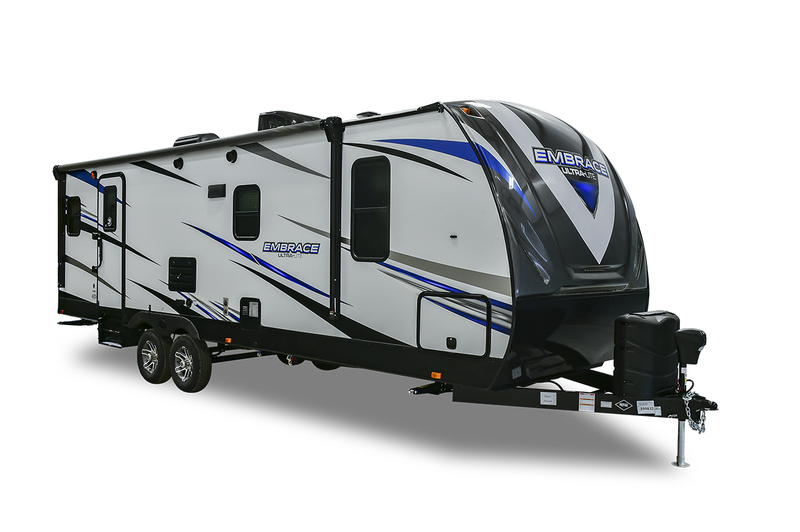 Its Road ArmorTM suspension system helps minimize bumps and shakes while traveling, and its fully enclosed and heated underbelly lets owners camp in colder weather. The 335MK model is a campground party host’s dream. It features a spacious rear kitchen with two refrigerators, a central kitchen island and abundant counter space along the wall. The living area extends with two slide-outs, and it includes a free-standing dinette, theatre seating and fold-out sofa for incredible gatherings with family and friends. 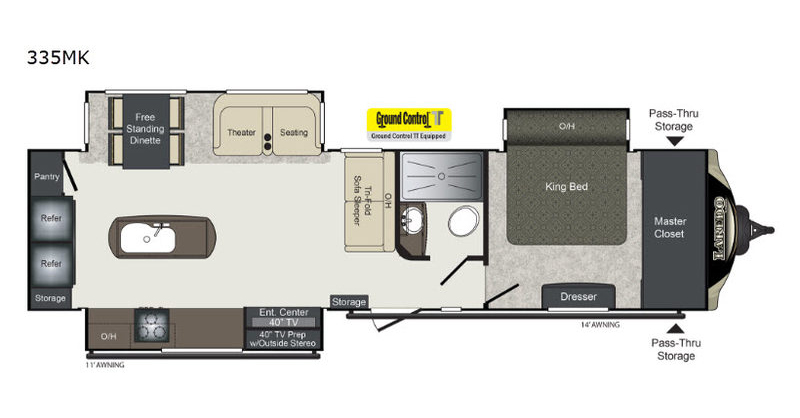 Do you want to explore other travel trailer floorplan options? 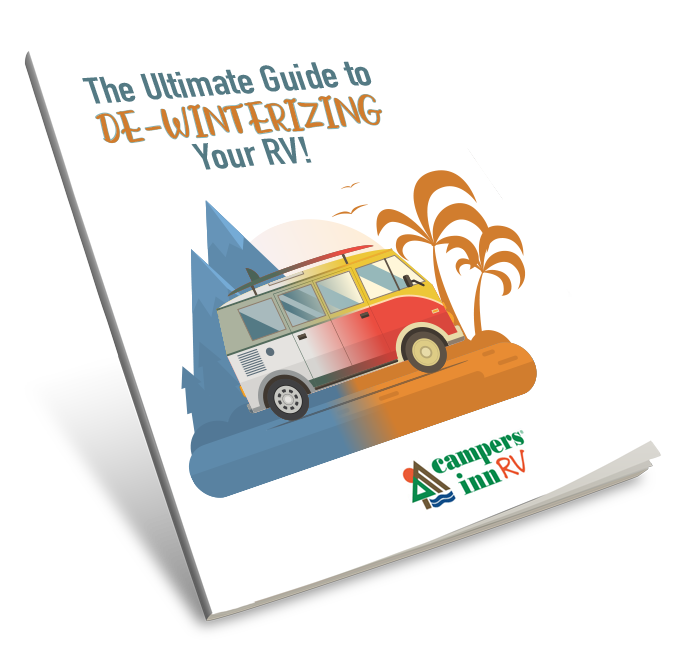 Download our free Travel Trailer Floorplan Guide to learn which is best for your lifestyle.